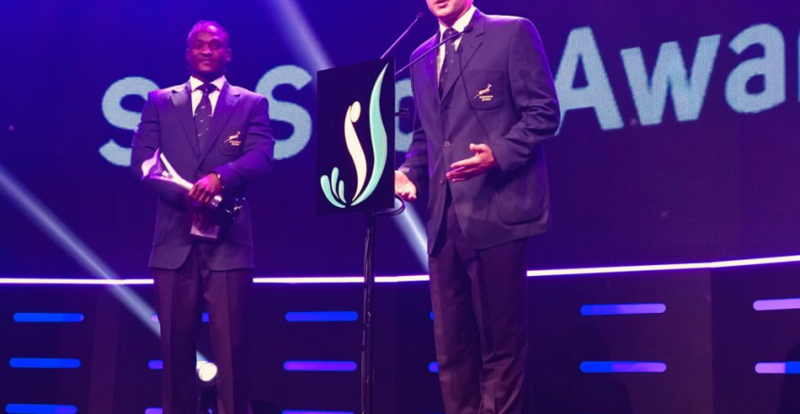 The Springbok Sevens team was named South African Sports Team of the Year at the annual SA Sports Awards in Johannesburg on Sunday evening. Springbok Sevens captain Philip Snyman and the Blitzboks’ leading try-scorer of all time, Seabelo Senatla, received the award on behalf of the team. “We are very proud South Africans right now,” Snyman said.“The acknowledgment is a huge honour for the team. We represent and play for all South Africans, so to be recognised in such a way really means a lot. We are about to start the next series and this will motivate us even more to retain our series title.” The HSBC World Rugby Sevens Series for 2017/18 kicks off in Dubai on 1 December, with the HSBC Cape Town Sevens a week later on 9 and 10 December. Come see the Blitzbokke defend their HSBC Sevens title at Cape Town Stadium in our VIP hospitality facility. Get in touch now to secure your premium Sevens rugby hospitality experience.